"The warmongers have not achieved any of their political and hegemonic goals after four years of bitter war and destructive aggression against Yemeni people," Iran's foreign ministry said in a statement. 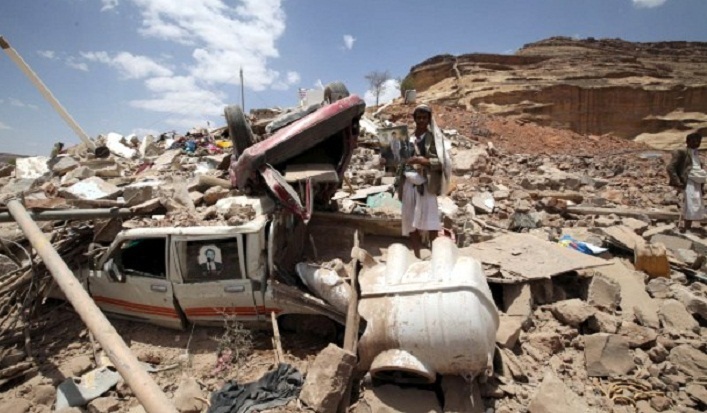 The United Nations is planning to host peace talks in Sweden between Yemen's Saudi-backed government and Huthi rebels. The Gulf monarchies and United States accuse Iran of supporting the rebels -- and see this as justification for the military campaign they have been waging in Yemen since 2015. The extent of any Iranian support for the Huthis remains unclear, with some analysts saying its backing for the rebels was ramped up after the Saudi-led coalition began its campaign. Iran said it was ready to cooperate with the international community to resolve the crisis. World powers should put "pressure on the exporters of arms to the aggressors to facilitate the peace process in Yemen and let the Yemeni people decide their country's fate free from the outsiders' interference," the foreign ministry said.